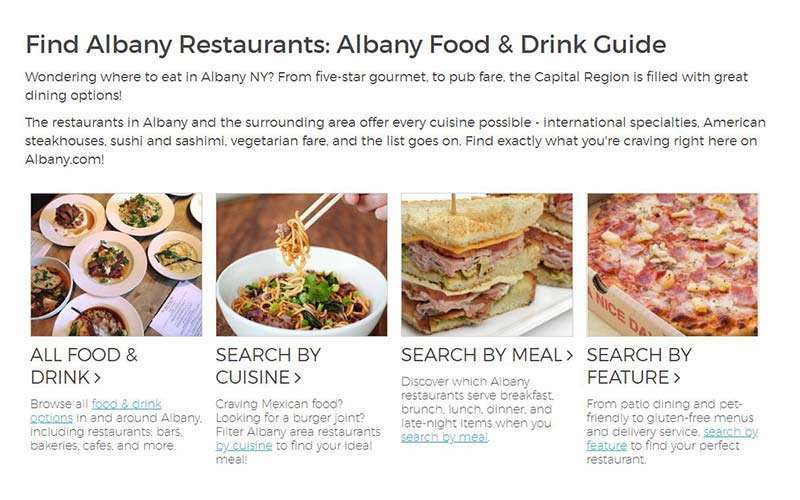 Your online guide to Albany and the Capital Region. 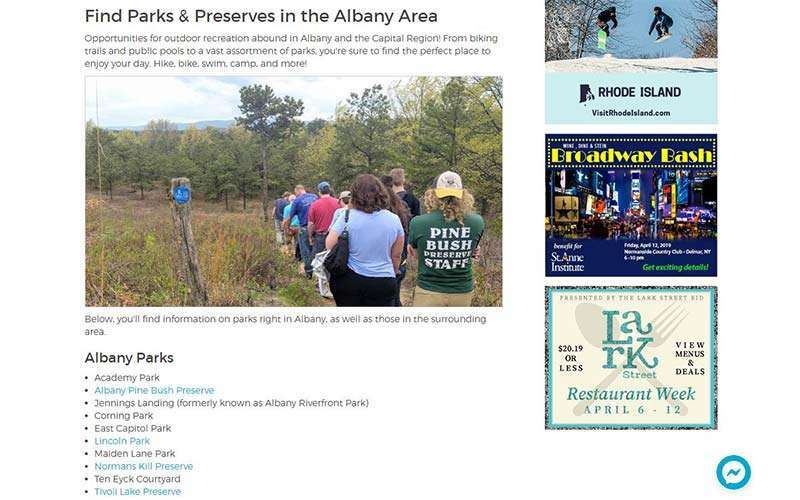 Albany.com is an online guide that features everything you need to know about living in and visiting the Capital Region. 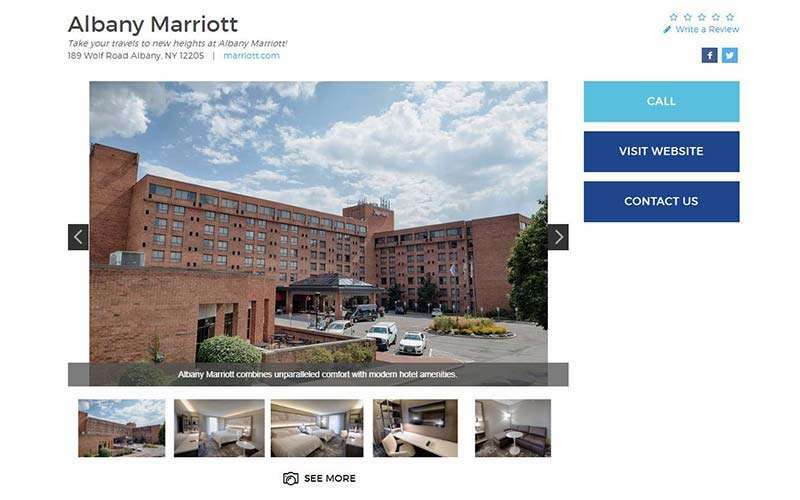 The City of Albany is home to a wide range of attractions, hotspots, and activities where you can have fun and experience the local culture. If you're planning an extended stay, you'll also find plenty of lodging options, from modern hotels to cozy B&Bs. 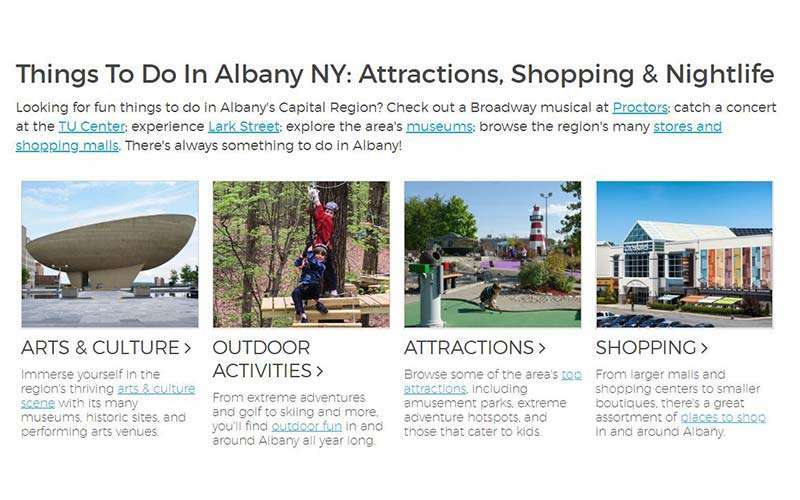 In addition to Albany, our site offers information about nearby communities in the Capital Region, including Troy, Schenectady, and beyond. 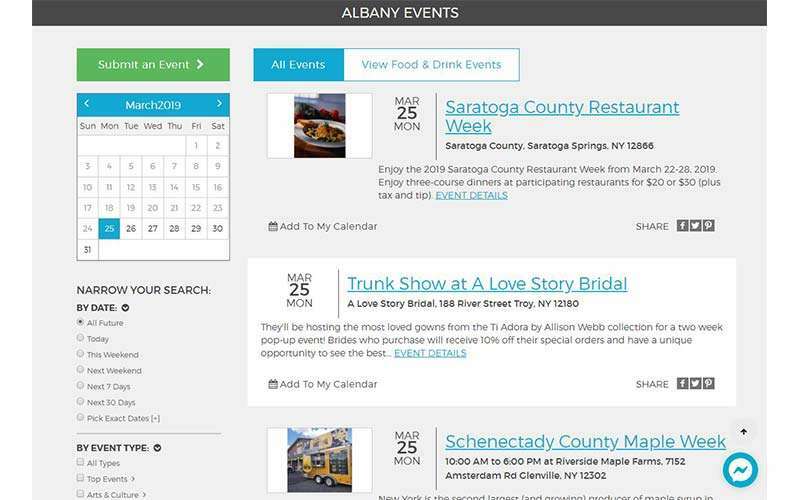 The whole area is full of great restaurants, unique shops, entertainment centers, events, and things to do for all ages, and you can search for it all on Albany.com. Whether you're looking to explore for a day, stick around for a vacation, or live in the city, this comprehensive online guide can assist. 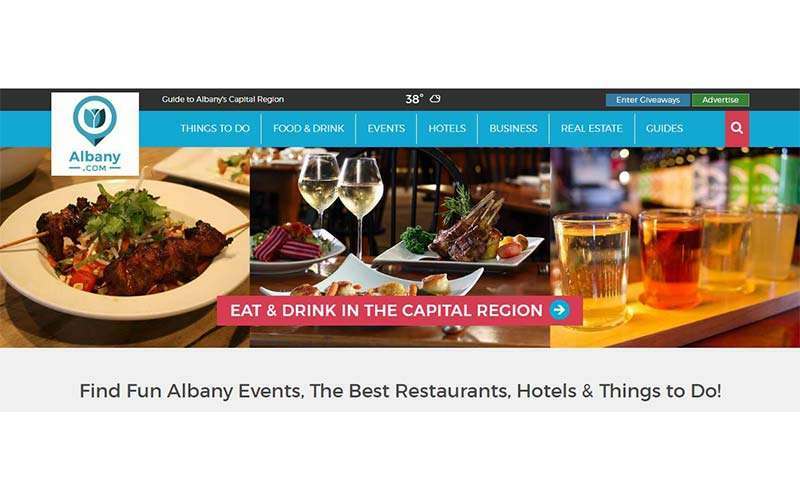 Are you interested in spreading the word about your Capital Region business? 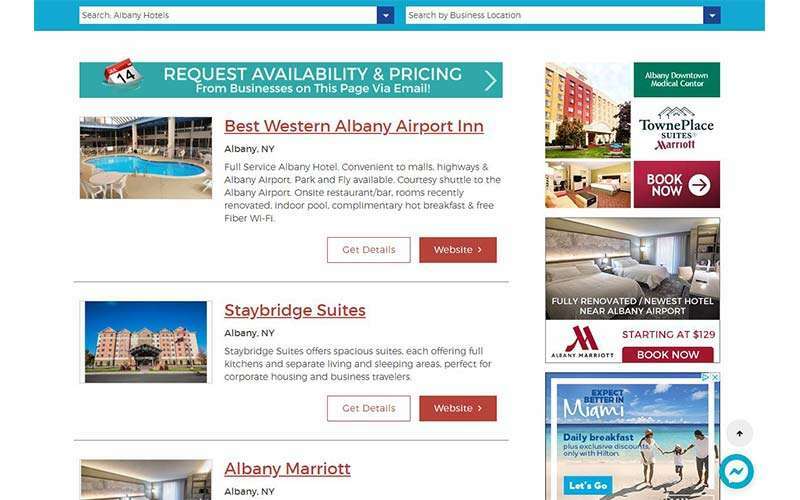 Consider advertising on Albany.com; we offer a variety of advertising packages to meet your needs.